Save time and money by purchasing one of our seasonal vacation packages below. Each seasonal family vacation package will save you 35% or more compared to booking your nightly stay, entertainment and food separately. Escape the heat and cool off with your family. 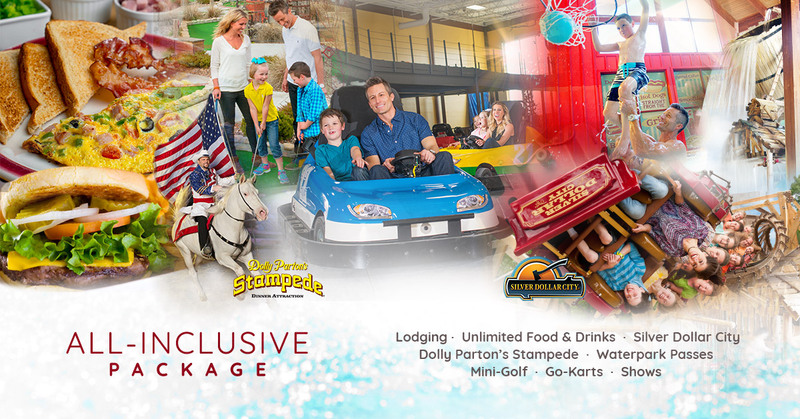 Our Summer Family Package is jam packed with everything you need to have an awesome family vacation in Branson. Take a break from school! 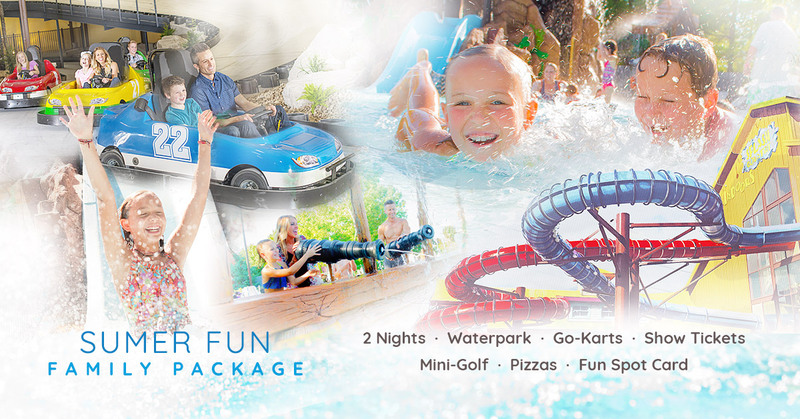 Our Spring Break Package is jam packed with everything you need to have an awesome family vacation in Branson. Driver must be at least 18 years old and lat least 60” tall to drive a double kart with a passenger. Passenger must be at least 4 years old and 40” tall to ride. Visiting Branson between the months of January and February? Enjoy 2 nights lodging at Grand Country Inn, passes to Splash Country, show tickets and Blacklight or Farm mini-golf at Fun Spot for the whole family! Branson is magical place to be during the holidays. Celebrate at Grand Country and enjoy 2 nights lodging at Grand Country Inn, passes to Splash Country, show tickets and Blacklight or Farm mini-golf at Fun Spot for the whole family! Visiting Branson between the months of September and November? Enjoy 2 nights lodging at Grand Country Inn, passes to Splash Country, show tickets and Blacklight or Farm mini-golf at Fun Spot for the whole family! Our All-Inclusive Family Package includes just about anything you could ever imagine. So leave your wallets (and your cares) behind, and get ready for the time of your lives!